Merry Christmas to you and your family, and all the best over the holidays. 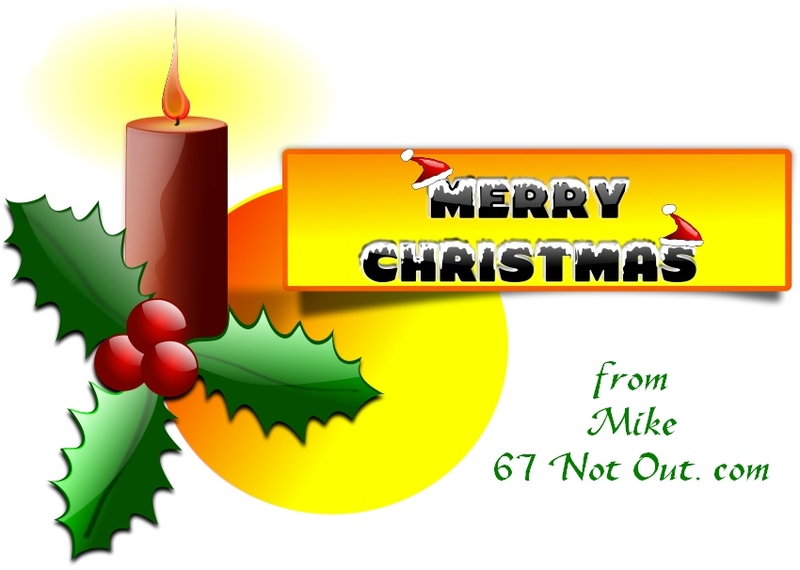 Merry Christmas Mike, I have a Christmas synchro for you. At 15 I used to get into a lot of trouble. Through that dark part of my life it was still important for me to buy Christmas gifts for my family, especially my sister. One snowy night my friends and I helped a man, who was selling Christmas trees by putting them away for the night into a truck freight container. We did this for 3 nights in a row and each night he gave us 2 dollars each. My Christmas $ was piling up, but still on the short side. It was snowing hard one night when we showed up. The man selling looked kind of depressed because he hardly sold any trees that night. It didn't occur to my teenage mind that he would probably spend his profits on us. My friend sensed this and after we put all the trees inside he told the guy, “That’s alright you don’t have to pay us tonight”. I have to admit my jaw dropped. My friend laughed and pushed me along. As we walked home through the snow we passed a bank and my friend stepped right on top of a five dollar bill. I grabbed it and ran. When my friends found out they chased after me and wanted to spend it on soda and junk food. Instead I used it to buy my sister a gift.